Why would I need self storage in Northport, NY? There are a variety of reasons why you might need self-storage in Northport, NY. How much is a storage unit in Northport, NY? The cheapest storage unit in Northport, NY is $44.00 per month. What size storage units do you have available in Northport, NY? In Northport, NY we have sizes that range from 5'x5' to 10'x30' to suit your storage needs. How much is it for a 5'x5' storage unit in Northport, NY? The cheapest 5'x5' storage unit in Northport, NY is $44.00 per month. Northport is a small, historic maritime village on Long Island, New York. Less than an hour from Manhattan, this village offers a comfortable home base for residents who want a quiet home within reach of New York City but outside its hustle and bustle. 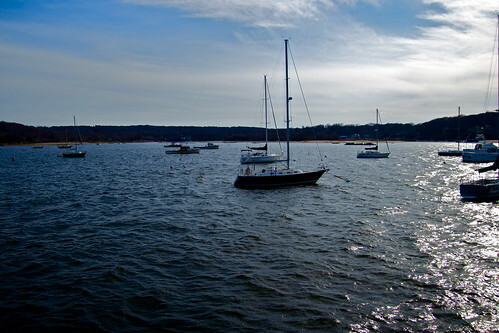 Northport is known as a quaint small town that maintains much of its old-time charm. The Matinecock tribe once inhabited the land where Northport now sits. The tribe's chief sold the land to three Englishmen in 1656, and the land was soon settled for farming. The town was slow to grow and had just eight homes in the 1830s. By 1860, Northport's population had grown to more than 1,000 people. In 1874, Northport was one of the most prominent cities on Suffolk County's North Shore. The village was formally incorporated in 1894. Image via Flickr by Smart Alex! Northport offers waterfront parks, a historical museum, antique shops and special local events for locals to enjoy. The town is very pedestrian-friendly, and you can easily walk from your home to the community's shops, grocery stores, cafes and more. You'll find many family-owned businesses in Northport, including a number that have been in business for generations. Old-fashioned ice-cream shops, friendly diners and small marine shops add charm and a unique touch to the commercial developments around town. You can also join the Northport Yacht Club, enjoy a round of golf at the Northport Golf Course or see a Broadway show at the John W. Engagement Theater. With no shortage of amenities, entertainment or small-town flair, Northport is a cozy, enjoyable place to call home. The Northport attend the Northport-East Northport Union Free School District oversees public schools in Northport. You can also enroll your child in one of the area's many private schools. Utilities: Northport's primary utility providers are the Long Island Power Authority and the city utilities department. Garbage and Recycling: Recyclables is collected once a week. Trash is picked up twice a week, typically either on Monday and Thursday or Tuesday and Friday. Transportation: Northport receives public transit services from the Long Island Rail Road and Suffolk County Transit. Homes in Northport can be very expensive, with larger properties fetching well over a million dollars. Some options are slightly more affordable, especially if you're willing to purchase a fixer-upper. Many of the homes have large, lush lots and plenty of space for a growing family. There aren't many apartments in the community, but you can find a few. Our lowest priced units in Northport, NY average $44.00 per month. 41 people have reserved units in Northport, NY in the past 30 days. There is 1 location within Northport, NY's city limits.